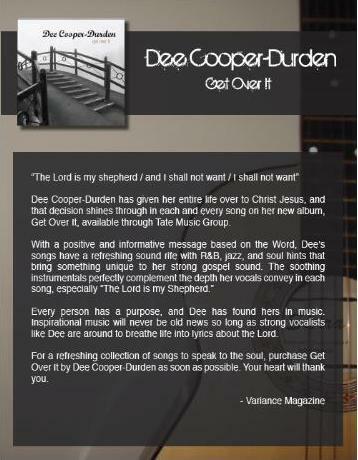 Variance Music Review of Dee's CD "Get Over It"
Are You a Narcissist (NARC)? This Train, Superintendent Noble L. Cooper, Sr.
Can You See the Image? What Road Do I Take? The Lord is My Shepherd "videos by Dee"
Final Destination "videos by Dee"
John Lifflander: Saturday or Sunday? The Good Shepherd Church - Have you asked, "What's My Destiny?" Pastor Randy Garcia's "40 Days to Destiny"
Bill Yount: Today's Your Last Cave Day! There is a battle between the Spirit of Truth and the Spirit of Error. Truth will prevail! Righteousness exalts a nation, but sin is a reproach. Humanity, it's time to get right.